Whether you are looking to hold a business meeting, presentation, seminar, catered dinner, birthday, family reunion or any other event, the Taber Inne offers everything you need to put together the perfect function. Please call for details. 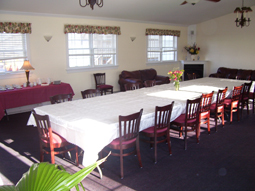 We are the premier choice for meeting space in Mystic! Our spacious conference room, with its cathedral ceiling and loads of natural light coming through its large windows, seats up to 50. This large room, with its bright, cheery atmosphere is ideal for family reunions, landmark birthday parties, baby showers, office parties and graduations. Our hands-on approach gives us the edge in service, and our attention to detail will eliminate the stress of planning such an important and memorable event. Specializing in small meetings, conferences and family functions, the Taber Inne puts the emphasis on details, service and exceptional food, with catering available from Coastal Gourmet. When it comes to weddings and civil unions, we’re happy to assist you in any way we can. We would be pleased to introduce you to event professionals in our area. We’re also the ideal host for your rehearsal dinner. Special Rates are offered for overnight lodging with any conference booking. Let us put our nearly 40 years of experience in the hospitality industry to work for you. 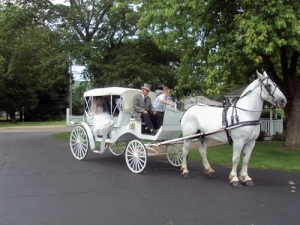 Our friendly, professional staff is eager to fulfill all your event needs. Please call us for a customized quote.